One of the best things about Marutama Ra-men is its consistency across its outlets in delivering the perfect bowl of ramen and arguably the best tamago around. With the special preparation method, the tamago here never fail to reach the desired perfection, set white egg that is slightly savoury and runny yolk core that bursts with delicious creaminess when cut apart. And also its toripaitan (chicken-based) broth has a special sort of milkiness and richness that is different to tonkotsu (pork-based) broth. ~ Ebi Ramen, fresh tiger prawn cooked together with chicken broth and mixed with dried shrimp paste. The result? A very rich prawn soup base ramen. ~ Tanmen, basic toripaitan broth cooked with 7 kinds of vegetables. A feast at Marutama Ra-men is always very much welcome, it's just too bad my family do not share as much fanaticism for ramen as I do. So, I'd usually enjoy these with my friends. Now, prepare yourselves to drool over these yumminess! 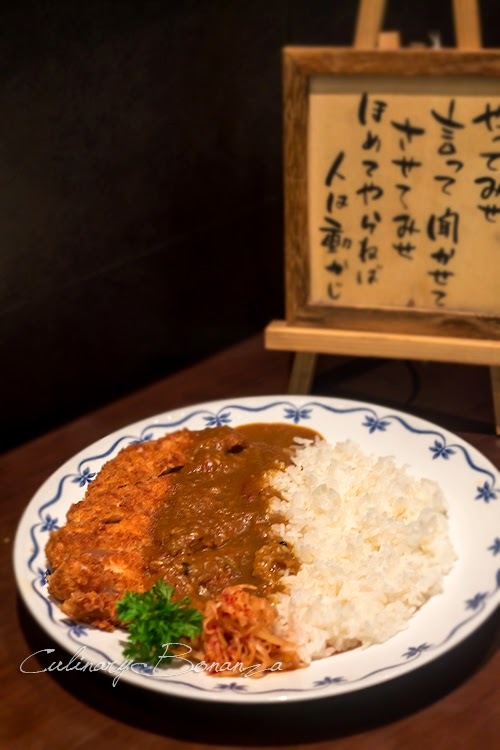 Curry Katsu Rice served with fried boneless chicken or pork. The curry sauce is cooked with apple, a unique combination that results in the slight tanginess in the curry. Delish! 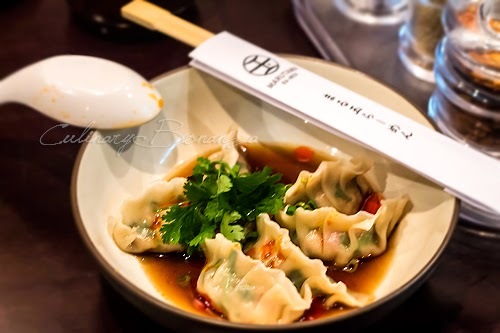 Gyoza with chicken or pork and vegetables filling. 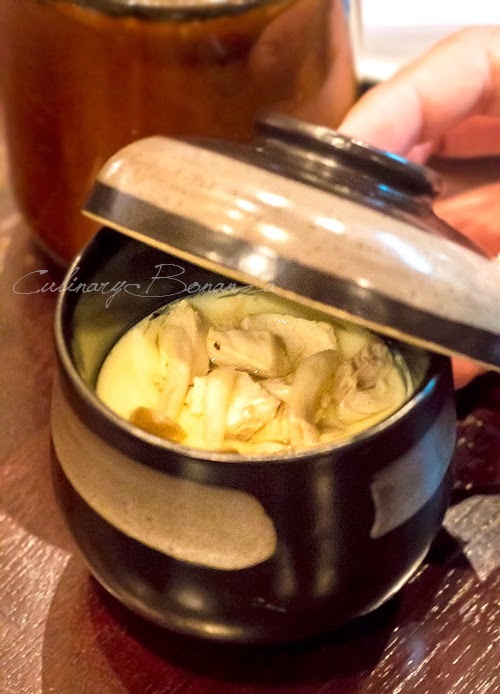 Chawan Mushi with chicken and shimeji topping. 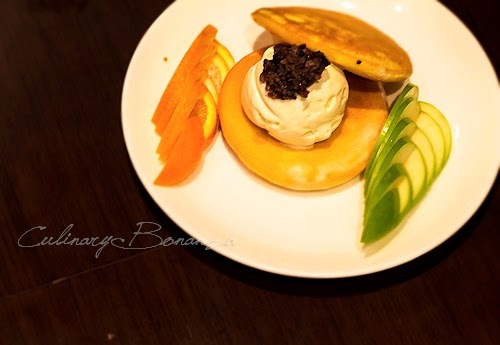 And for dessert, we had this Dorayaki ice cream.You can choose from the available ice cream flavours: blackpepper, edamame and ogura. 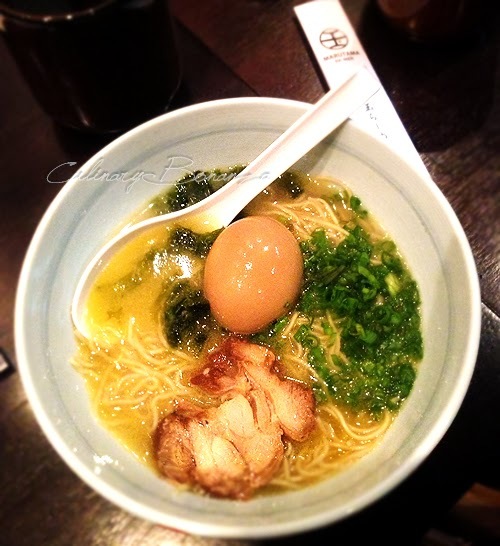 For complete list of international Marutama Ra-men outlets, click here.